Recent College Graduates who are smart about managing their student loan debt can ease the burden of repayment and save thousands of dollars in interest expense with StuFund. By taking advantage of locking in the lowest rate possible within their grace period, recent graduates save the most money on their student loans and retain the privileges of the grace period. Recent College Graduates who are smart about managing their student loan debt can ease the burden of repayment and save thousands of dollars in interest expense. Many students graduate with a staggering $35,000 in student loans. Accepting the standard terms on these loans can be a very expensive proposition. With its generous borrower benefits, Student Funding Group, LLC (StuFund) advises recent graduates to save an average of over $4,000 throughout the life of their student loans by consolidating during the first six-months following graduation. This grace period offers a unique opportunity to lock in a 0.625% lower interest rate. "This is an opportune time and students have nothing to lose," says Sergio Sotolongo, CEO and Chairman of StuFund. "By taking advantage of locking in the lowest rate possible within their grace period, recent graduates save the most money on their student loans and retain the privileges of the grace period." Why is this important? Right now graduates are about to go out into the workforce and are concerned about managing their debt. Since interest rates for existing variable-rate student loans are climbing .08% on July 1st, StuFund is concerned that students get the appropriate information to make the right decision about managing their student loans. As graduates are flooded with information about loan consolidation, it becomes increasingly difficult to understand the process and many borrowers will not take advantage of the opportunity. StuFund encourages graduates to research and review as much as possible about loan consolidation and to utilize StuFund's Knowledge Center as a resource. Whether the graduate wishes to merely save money by taking advantage of the six-month grace period to lower the interest rate, or he/she wishes to substantially lower their monthly payments on federally insured student loans by extending the term, StuFund provides all of these services. The timing could not be better. 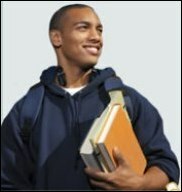 Student Funding GroupStuFund provides straightforward guidance through the complex financial aid system.